The biggest arms in the world. Want to know who has them? You are about to find out! These measurements and stats are for the biggest all-time arms in inches and not counting for “how” these arms came about. In other words, whether they were as a result of solid training or the use of steroids or other substances such as Synthol. 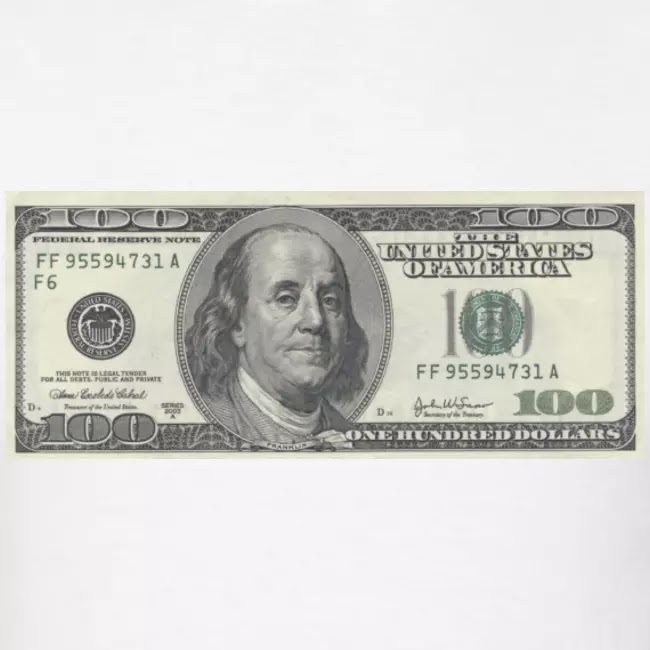 Organisations such as the Guinness Book of World Records unfortunately do not have the means to find out how the arm size was achieved, so they just go with the biggest size. 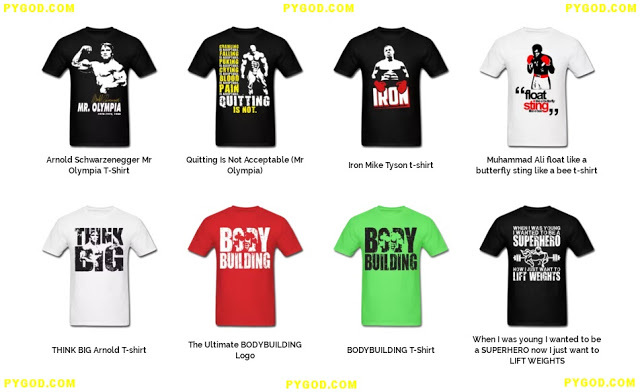 Many people believe that people who use steroids or Synthol should not be on this list. Sergio was born in Cuba and smuggled himself in to the USA. Known as “The Myth”, his arms measured at 20.5 inches. 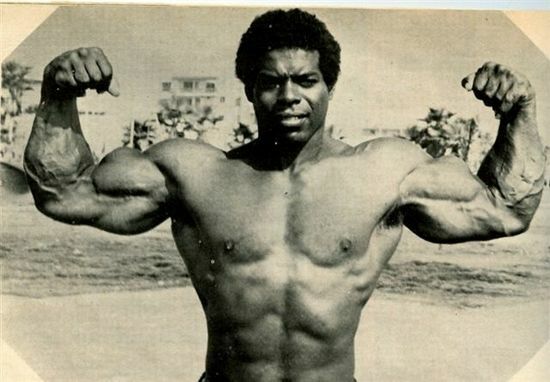 Sergio Oliva won 3 consecutive Mr Olympia titles and even survived being shot by his wife! He died in 2012 at the age of 71. 8 times Mr Olympia Ronnie Coleman weighs a whopping 340 lbs off season. His arms have measured at 22 inches and he has the record for most wins at IFBB events at 26. 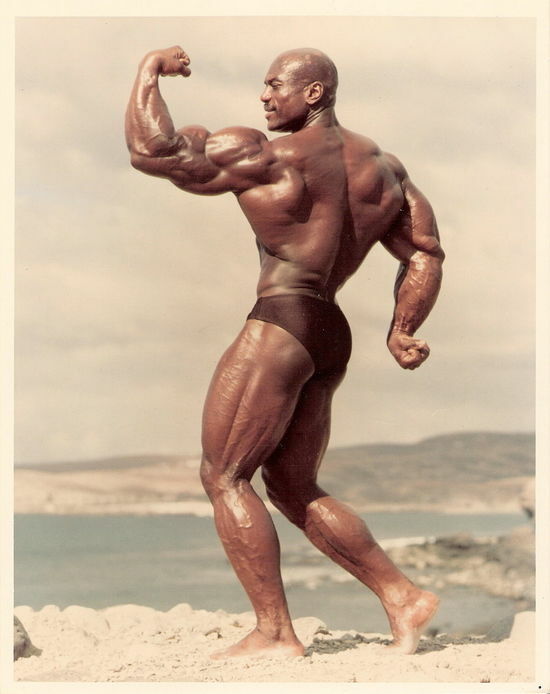 Lou is a legend and a very well respected bodybuilder as well as motivator. He is also known as the original Hulk. 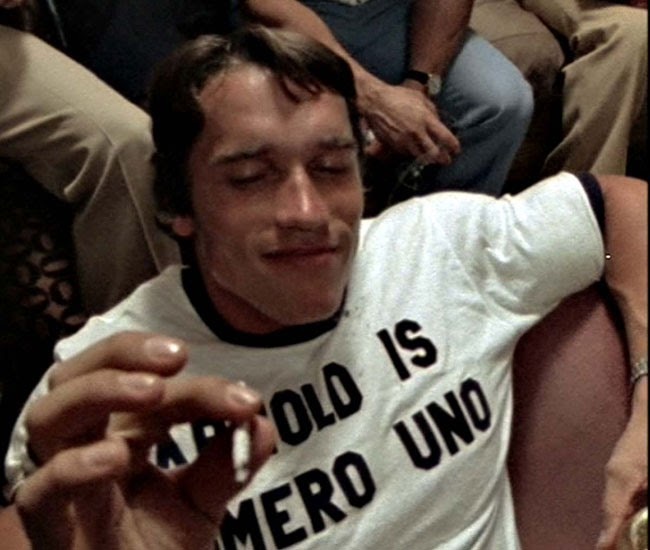 Lou competed against many of the greats of bodybuilding including Arnold Schwarzenegger. 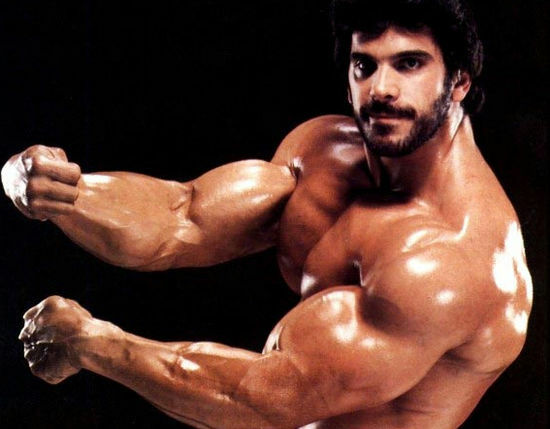 Lou Ferrigno’s arms measured at 22.5 inches. Bill Pettis had bigger arms than Arnie. Bill was very well known in the 1980s and was always surrounded by women. He used to do 100kg bicep curls! Now 68 years, Bill Pettis is a drunk and homeless. 44 year old Brit Dave has 25 inch arms which are huge. He weighs 280 lbs and trains 6 days a week. Dave eats a reported 10,000 calories a day and started training when he was 15. 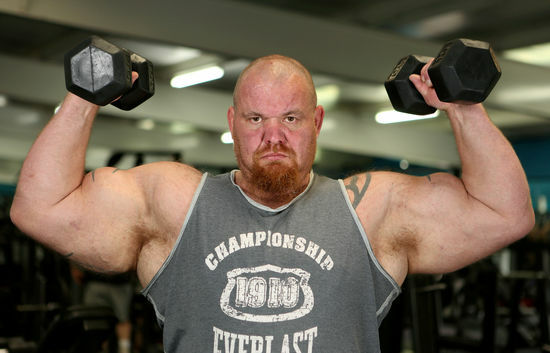 Manfred is a former strongman and was heavily featured in the muscle magazines when he was active. Manfred Bench pressed 628 lbs and his record for the deadlift is 860 lbs. Manfred had 2 near fatal car crashes and gave up his strongman training after the second crash. Like him or loathe him, Gregg had the record for the biggest arms on the planet for a long time. He started training at 13. 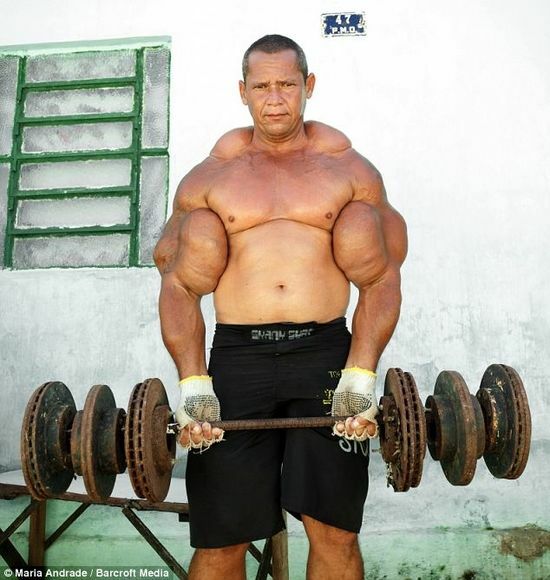 Gregg injected the dangerous Synthol oil into his biceps and made no secret of this. Many say his arms looked deformed and unnatural and eventually his left bicep exploded!!! Arlindo started injecting filler, oil and alcohol into his arms to make them look bigger. The Brazilian was nicknamed “The Mountain”. He admits to having taken steroids, hormones and horse vitamins. Women admire him and he claims that men admire him too. This 25 year old Brazillian’s arms almost exploded. To get bigger and look “cool” he started injecting oil, painkillers and alcohol into his arms! 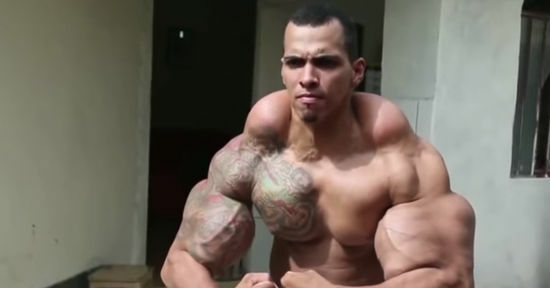 He almost needed an amputation and realised he has screwed his body up after many years of Synthol abuse. 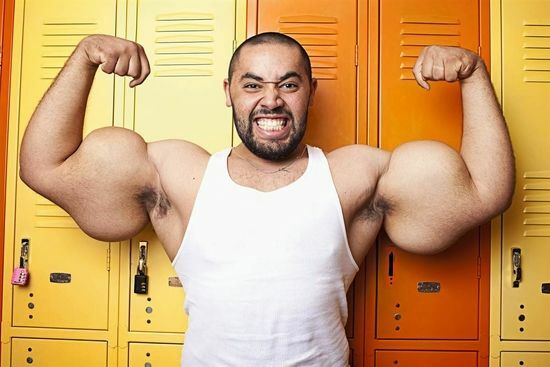 This 24 year old Egyptian with 31 inch arms who lives in the US has actually managed to get himself into the Guinness Book of World Records for having the biggest arms in the world. He claims he is a bodybuilder and all natural. Many people doubt this and point to the fact that his body is out of proportion and his arms are way bigger than the rest of his body, pointing to abuse of Synthol.